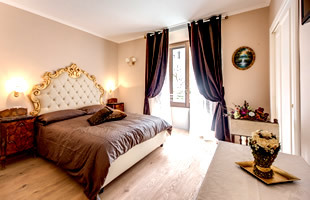 La Reggia dei Principi Rome isa brand new guest house in the centre of Rome that offers luxurious accommodation that bespeaks the lavish romance of baroque Rome. Occupying a floor of a historic 19th Century Italian palazzo, the La Reggia dei Principi Rome accommodation offers 6 magnificent rooms decorated in relaxing tones and furnished with extravagant baroque furniture that evokes a subtle blend of modern minimalism and baroque opulence. Take a look at our Photo Gallery to get a taste for what awaits you or read more in our Rooms & Services section. 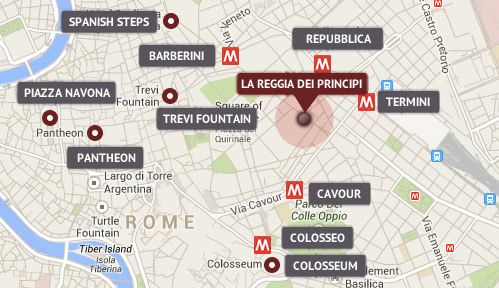 Read more in our Location section to understand just how central we are and how conveniently positioned to see the many wonders of ancient Rome. To avoid disappointment, book today using our secure online booking system and you will also enjoy the lowest possible prices through this, our official site. 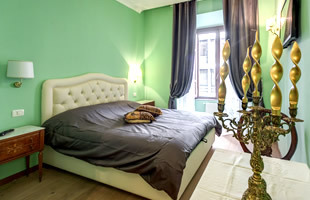 Situated on Via del Viminale our property is perfect for those wishing to see the main tourist attractions with the Trevi Fountain, the Quirinale Palace, the papal Basilica of St Mary Major, the Coliseum and the transport network of Termini all within walking distance. 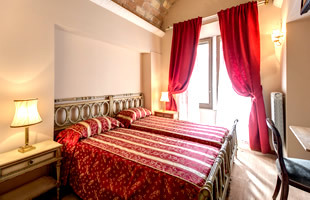 Located immediately in front of the Reggia dei Principi one can also find the famous Opera House and the trendy Roman district of Monti that boasts a myriad of traditional restaurants offering top quality cuisine, and charming cobbled streets and chic boutiques. This proximity to Monti which enjoys it’s own underground Metro station named ‘Cavour’, together with the nearby Piazza Repubblica with its own station mean that guests also have access to the city’s two underground lines which can take guests within minutes to the best tourist attractions including the Coliseum, Circus Maximus, the Basiclica of St Paul, the Basilica of St John Lateran, the Trevi Fountain, the Spanish Steps, Piazza del Popolo, Villa Borghese, the Basilica of St Peter, the Vatican Museums and the Sistine Chapel.